The driver names on the racecar have changed, for the most part, since the No. 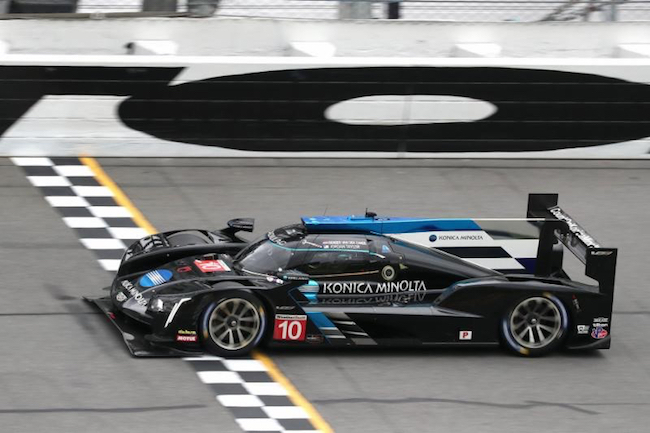 10 Konica Minolta Cadillac DPi-V.R team pulled out a thrilling and long-awaited victory in the 2017 Rolex 24 At Daytona. But the mission remains every bit the same this weekend when the sleek, black racecar returns to the 3.56-mile, 12-turn Daytona (Fla.) International Speedway road course for the 57th renewal of America’s most iconic endurance race. Full-time co-drivers Jordan Taylor and Renger van der Zande will be joined by two-time Formula One champion Fernando Alonso and former Formula One and current FIA World Endurance Championship regular Kamui Kobayashi as the team looks to rebound from an uncharacteristic DNF in last year’s Rolex 24 and rekindle the magic of its 2017 Daytona win at the hands of Taylor, his older brother Ricky, veteran Italian Max “The Ax” Angelelli, and four-time NASCAR Cup Series champion Jeff Gordon. Star power never seems to be in short supply when it comes to the Rolex 24 over its almost six decades of existence, and the No. 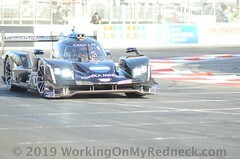 10 Konica Minolta Cadillac DPi-V.R team has featured its fair share. Some of the most recognizable names in racing not just in the U.S. but worldwide have strapped into its cockpit in search of a highly coveted victory at Daytona. Gordon first joined the team for a podium finish in the 2007 edition of the twice-around-the-clock event before returning 10 years later to score one of the most memorable race wins of his career. 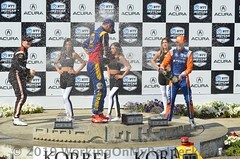 IndyCar Series champion and Indy 500 winner Ryan Hunter-Reay co-drove the No. 10 to a runner-up finish at Daytona in 2013 before last year’s disappointing turn of events. Former Formula One star Rubens Barrichello co-drove with the Taylor brothers and Angelelli to a runner-up finish in 2016. Alonso and Kobayashi hope to be the latest on its growing list of elite guest drivers to help bring success to the Konica Minolta Cadillac team in the Rolex 24. If their ability to instantly mesh with Taylor and van der Zande and the rest of the team during the three-day Roar Before the 24 test days at Daytona earlier this month is any indication, it could turn out to be another magical weekend. The four drivers logged virtually identical lap times with each taking his turn at or near the top of the timesheets during the three-day test three weekends ago. And as productive and helpful the four drivers were with each other and the team’s technical staff between on-track sessions, they were also as lighthearted and playful throughout the weekend as if the four had been friends all their lives. By weekend’s end, the team chemistry was incredible. Considering the remarkable consistency exhibited at Daytona by the No. 10 Konica Minolta Cadillac DPi-V.R camp over the years, those positive vibes exhibited at the Roar stand to go a long way toward generating another positive result when the checkered flag flies Sunday afternoon. Before last year’s retirement during the 17th hours of the race, the team scored five consecutive podium finishes from 2013 through its victorious run in 2017. In those five consecutive Rolex 24s, the No. 10 Prototype led 963 of 3,359 laps – 27.2 percent, the last three showing race-high totals of 265 laps in 2015, 152 in 2016, and 263 in 2017, preceded by 227 laps led in 2014 that was second-highest for that race. Even though the team’s third-place finish in 2015 was voided five days later due to a maximum drivetime violation, the team has certainly shown its ability to be in the hunt for a race win in the closing hours of this grueling event on a regular basis. Alonso, the 37-year-old Spaniard and winner of 32 F1 races and back-to-back championships in 2005 and 2006, will be making just his second career Rolex 24 start, having debuted last year in the United Autosports LMP2 car that finished 13th with mechanical issues. Despite his relative inexperience in closed-cockpit racecars, he laid claim to victory in his first career 24 Hours of Le Mans last summer with Toyota Gazoo Racing and has another win and a pair of runner-up finishes with the team, which leads the 2018-19 FIA WEC superseason standings. Kobayashi, the 32-year-old from Japan, has been a regular with Toyota Gazoo Racing on the WEC circuit the past three seasons after his Formula One run from 2009 through 2014. He is recognized as one of the consistently fastest drivers in sportscar racing. As the racing world casts its eyes on Daytona this weekend, the No. 10 Konica Minolta Cadillac DPi-V.R team certainly looks ready to bring back that winning feeling from just two short years ago. Practice for the 57th Rolex 24 At Daytona begins Thursday morning with DPi-class qualifying set for 4:25 p.m. EST. Race time is 2:35 p.m. Saturday with new broadcast partner NBCSN kicking off live television coverage at 2 p.m. Thursday’s live, two-hour qualifying show on NBCSN begins at 3 p.m., preceded by a one-hour season preview show at 2 p.m. Live timing and scoring during all on-track sessions is available at IMSA.com and via the IMSA smartphone app. It’s time to kick off the new season and your team has assembled quite the driver lineup. Your thoughts as you head to Daytona and try to bring back the magic of your 2017 Rolex 24 win? Where do you feel the team stands after the three-day Roar Before the 24 test earlier this month? You bookended last season by winning the pole for the Rolex 24 in your first qualifying attempt with your new team, then securing the victory at the Petit Le Mans finale with a dramatic last-lap pass. Safe to say it’s been a long wait for you to get back to racing? How was the Roar Before the 24 test from your standpoint? Your overall thoughts about your first Rolex 24 At Daytona this weekend? What kinds of things did you learn during the three-day test earlier this month? One year after your Rolex 24 debut and U.S. sportscar-racing debut, you’re back at Daytona with the Konica Minolta Cadillac team. Your thoughts heading into race weekend? You decided to take a hiatus from Formula One so you could enjoy some other racing disciplines. What is it like trying to learn the ins and outs of different types of racing? You seem to have assembled quite the driver lineup for this year’s renewal of the Rolex 24. How did it come together, and what are your thoughts about this coming week? Event: 24-hour IMSA WeatherTech SportsCar Championship race at Daytona (Fla.) International Speedway (3.56-mile, 12-turn speedway road course). Live Broadcast (race time 2:35 p.m. EST Saturday): NBCSN – 2 to 5 p.m. Saturday; NBC Sports App – 5 to 9 p.m. Saturday; NBCSN – 9 p.m. Saturday to 3 a.m. Sunday; NBC Sports App – 3 a.m. to 6 a.m. Sunday; NBCSN – 6 a.m. to 3 p.m. Sunday. Thursday qualifying – 3 to 5 p.m. on NBCSN (DPi class at 4:25 p.m.). Click here for Wayne Taylor Racing’s 2018 IMSA WeatherTech SportsCar Championship Results. Full-time co-drivers Jordan Taylor and Renger van der Zande of the No. 10 Konica Minolta Cadillac DPi-V.R return to the scene of their team’s thrilling 2017 victory joined by two-time Formula One champion Fernando Alonso and former Formula One and current FIA World Endurance Championship star Kamui Kobayashi for this weekend’s 57th renewal of the iconic Rolex 24 At Daytona, the 2019 IMSA WeatherTech SportsCar Championship season opener. Taylor and his older brother Ricky Taylor co-drove to the 2017 Rolex 24 win with now-retired Italian veteran Max “The Ax” Angelelli and four-time NASCAR Cup Serieschampion Jeff Gordon. It was the first of five wins in a row for the Taylor brothers to start the season, and it catapulted them to the series driver and team titles by a 19-point margin. 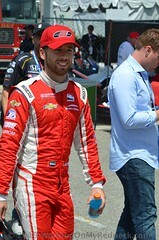 Ricky Taylor, whose daring, late-race pass of race leader Felipe Albuquerque in the No. 5 Action Express Racing Cadillac DPi-V.R earned the No. 10 Konica Minolta Cadillac DPi-V.R team the 2017 Rolex 24 win, left to join the new, two-car Team PenskePrototype-class entry for 2018 to open the door for van der Zande, the Dutch sportscar veteran, to join the younger Taylor as full-time co-driver a year ago this weekend. Van der Zande helped the team pick up where it left off on the 3.56-mile, 12-turn Daytona superspeedway road circuit when he qualified on the pole for last year’s Rolex 24 in his maiden qualifying voyage with his new team. He led the opening 18 laps of the race, and he and Jordan Taylor and IndyCar Series veteran Ryan Hunter-Reay stayed comfortably with the leaders over the first third of the race. But various issues ultimately cost several unscheduled pit stops and laps while making repairs, and the team retired during the 17th hour and left Daytona credited with 15th place. Taylor, van der Zande and Hunter-Reay rebounded with a solid runner-up finish in last year’s Mobil 1 Twelve Hours of Sebring, and closed the season together with a thrilling victory thanks to van der Zande’s last-lap pass at the Petit Le Mans at Road Atlanta in October. With the Petit Le Mans victory and four podium finishes in all, Taylor and van der Zande rallied to finish third in the final 2018 championship standings, seven points out of first. The 27-year-old Taylor will be making his 12th career Rolex 24 start this weekend and his seventh in a row with the team. 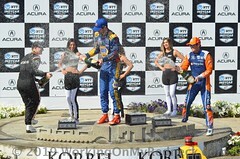 Prior to last year’s disappointing 15th-place result, he and the team logged five consecutive race-weekend finishes on the podium, highlighted by the 2017 victory and runner-up finishes in 2013 (with Angelelli and Hunter-Reay), 2014 (with Ricky Taylor, his father Wayne Taylor and Angelelli), and 2016 (with Ricky Taylor, Angelelli and former Formula One star Rubens Barrichello). The team’s third-place finish in 2015 was amended to a 16th-place result five days after the race due to a maximum drivetime violation. In those five consecutive Rolex 24s from 2013 through 2017, the No. 10 Prototype led 963 of 3,359 laps – 27.2 percent, the last three showing race-high totals of 265 laps in 2015, 152 in 2016, and 263 in 2017, preceded by 227 laps led in 2014 that was second-highest for the race. This weekend’s race marks the sixth career Rolex 24 for the 32-year-old van der Zande. Prior to his third-place finish with Spirit of Daytona Racing in 2017, he scored LMPC-class finishes of fifth, sixth and fourth with the Starworks Motorsport team. Alonso, the 37-year-old Spaniard, will be making his second career and second consecutive Rolex 24 appearance and his first race of any kind since embarking on a sabbatical from full-time F1 competition after November’s 2018 season finale in Abu Dhabi. It was his 17th F1 season, the last four of which were spent with McLaren. Alonso’s first career Rolex 24 a year ago came with the United Autosport LMP2-car effort, which resulted in a 13th-place finish due to mechanical issues. Alonso owns 32 career F1 victories and back-to-back world championships in 2005 and 2006. He’s also enjoyed recent success in the WEC. His No. 8 Toyota Gazoo Racing team leads the WEC 2018-19 superseason standings after back-to-back victories at Spa-Francorchamps and in his 24 Hours of Le Mans debut, followed by consecutive runner-up finishes at Fuji and Shanghai. It will be the first career Rolex 24 for Kobayashi, the 32-year-old from Japan who is in his third season with Toyota Gazoo Racing and currently co-drives that team’s No. 7 entry, which is second in the superseason standings after runner-up finishes at at Spa-Francorchamps and Le Mans, followed by victories at Fuji and Shanghai. Prior to his current success in the WEC, Kobayashi was a fixture on the F1 circuit. He made his F1 debut with Toyota at the 2009 Brazilian Grand Prix and followed that with a points-paying finish of sixth at that season’s final race in Abu Dhabi. He then drove for Sauber from 2010 through 2012, highlighted by a podium finish at the Japanese Grand Prix – the first F1 podium by a Japanese driver in 22 years – followed by a season with Caterham in 2014.